I need to re-adjust that game camera a bit, as I feared. Windage is good but the elevation turns out a bit high. 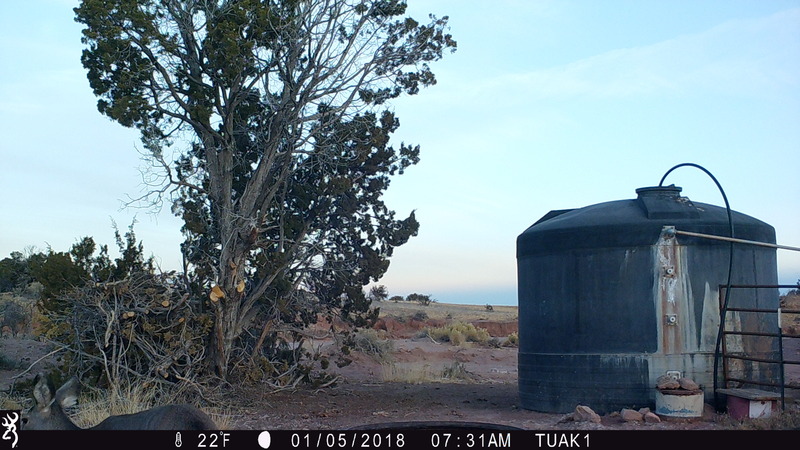 Would have been all right but the two deer the camera saw appeared between the camera and the trough, and the line of sight is nearly over their heads. I’ll adjust that today. Caught a couple of mulies, as expected, just not very good pictures. 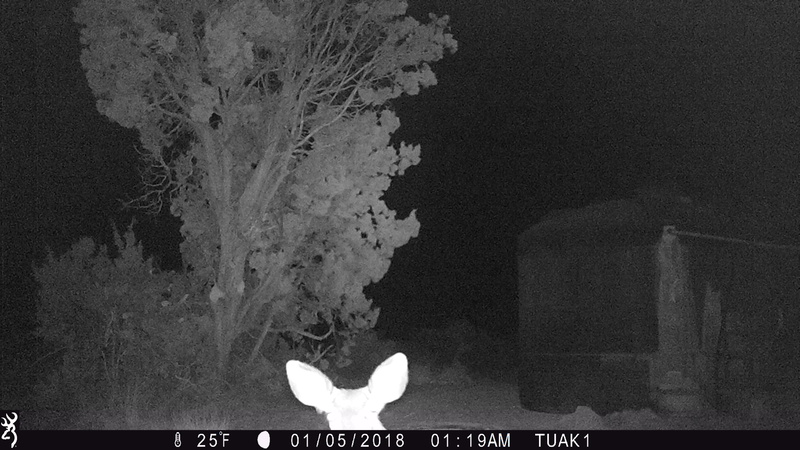 Obviously this game camera thing will be a “learn by doing” exercise for Joel, but I think that he will ultimately learn much about (especially) the nighttime habits of the various critters that own the desert. 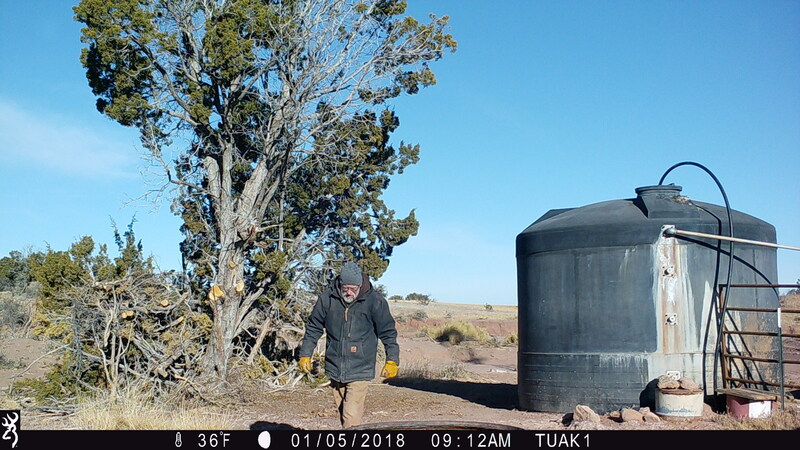 I will be interested to see if he can catch any coyotes stalking his chicken compound. It also might be a worthwhile idea for Joel to check for nocturnal rodent activity around his truck!